I never really connected with Mary. An eternal virgin, praised for her chastity and meek obedience? Please. She was not the feminist hero I was looking for in my faith. Mary seemed to represent what patriarchy valued but nothing especially life-giving to me as a woman. She remains the only divinely feminine expression of Christianity, yet is honored only for her purity and passivity- a hollow vessel. To me, the Virgin Mary felt like a whisper of what could have been, a betrayal. 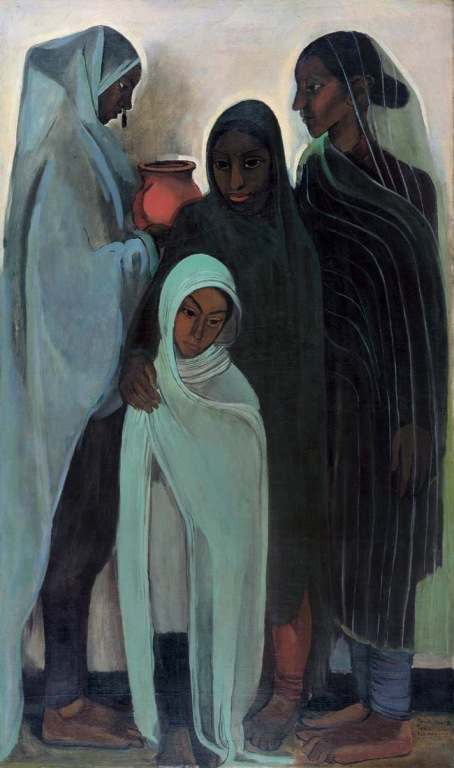 We were robbed of a powerful matriarch, given instead a meek and de-sexualized echo of feminine creation. But friends, I’ve been thinking a lot about Mary and there is so much more. I want to reclaim her as the matriarch and prophet she is. 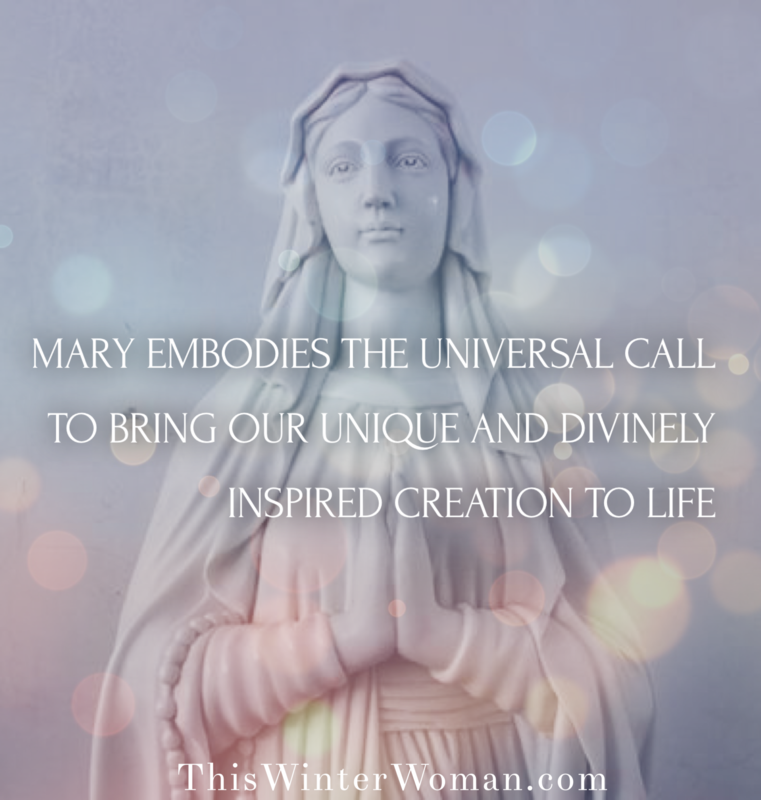 Mary shows us how we can give life to what God has placed in us. She embodies the universal call to bring our unique and divinely inspired creation to life. Mary, Mother of Jesus, was a prophet in her own right- hearing the call of God and bearing a message that would change the world. Mary, just as the prophets of the Old Testament, heard the call of God, and answered it. The Source of all love needed to partner with Mary. When she said, “Let it be”, Eternity became flesh and the oceanic love of the Divine coalesced within her. The Divine continues to seek partnership with humanity, inviting us to bring to life a new creation. The divinely set order of conception, birth, and life are inseparable from femalehood. Mary, afraid yet courageous, answered the call of God. 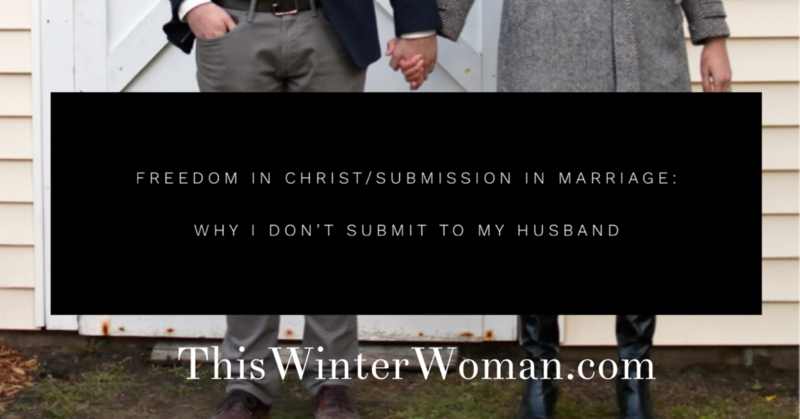 God did not use her without her permission. God did not ask her father, or her fiance. God did not go through the “Spiritual Head of the Household.” The Creator of the cosmos came to Mary because she was an integral part in bringing about the Kingdom of God. 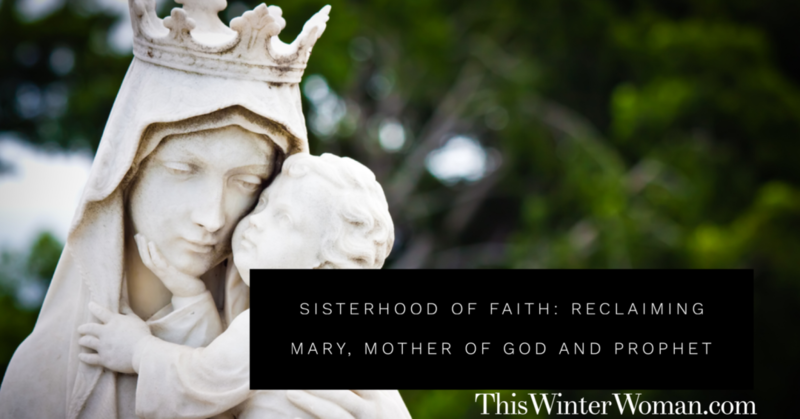 Reclaiming Mary helps us acknowledge our own important role in the Kingdom of God. 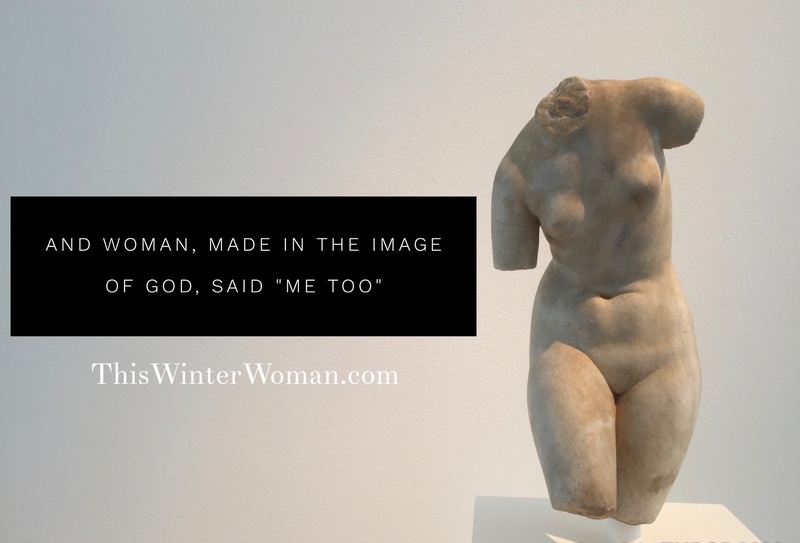 Just as Mary was an indisputable and essential part of the story-so are we. 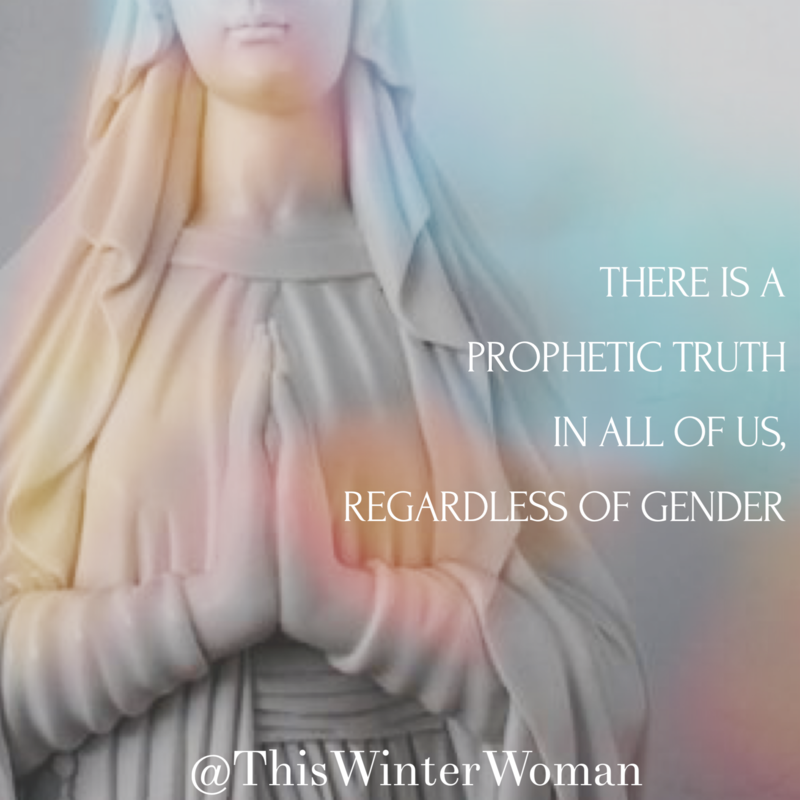 There is a prophetic truth in all of us, regardless of gender. Like Mary, we may hear the call in quiet moments and know that this new creation, this truth, will be hard to bring to life. 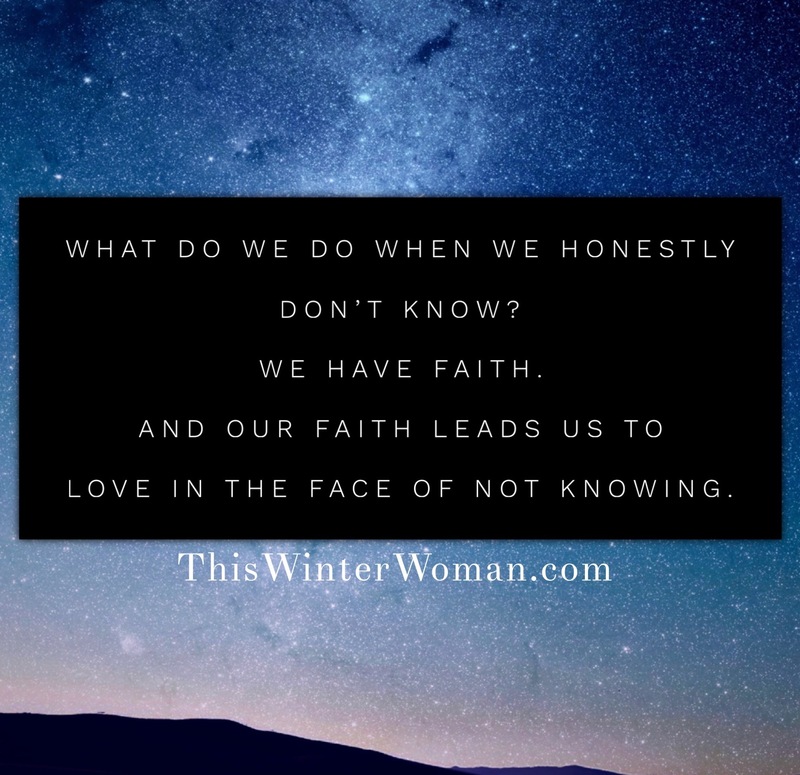 But if we say yes, we enter into a wholly mystical experience of partnering with The Divine to bring to life that which was planted deep in our hearts. Because of her courage, and devoid of any male assistance (she was a virgin after all), Mary becomes a co-creator with God. She was not a docile vessel devoid of power. She was, by the very nature of being a woman, a necessary part of the physical creation of Christ inside her. Think about this for a second- Mary is the only person in all of human history who had The Divine grow within her. Mary felt Redemptive Love move in her, kick in her, expand and change her body. What must that have been like? The joys and aches of pregnancy made that much sweeter in light of Eternity. Imagine the intimacy as she held God within her flesh. The Divine could hear her heartbeat and feel the rise and fall of her lungs with each breath. 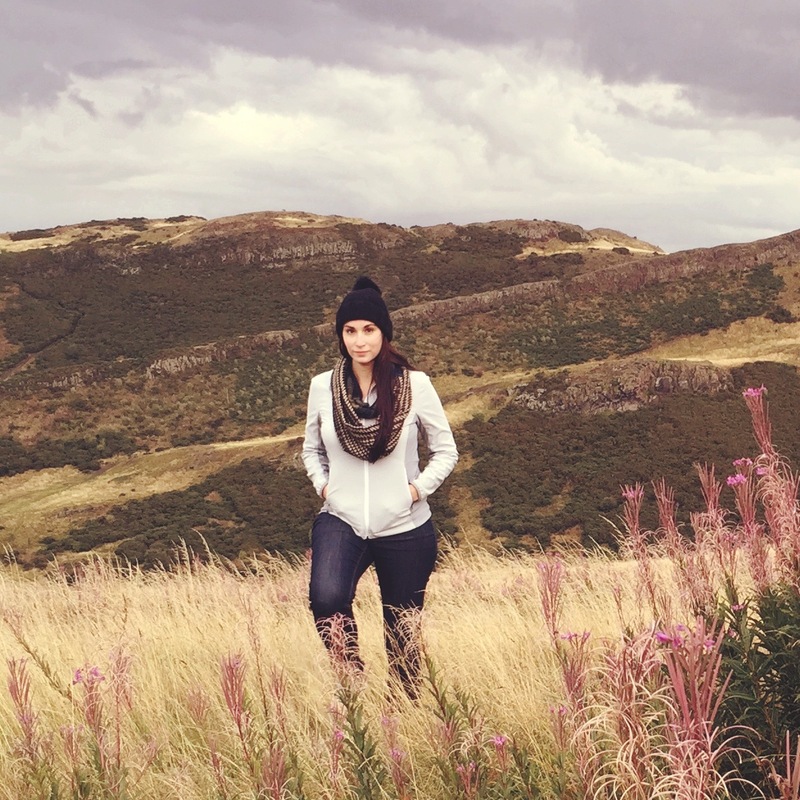 I’ve never been pregnant, but I suspect that in those quiet moments when you feel new life growing inside you – there is an echo of the divinity Mary felt. 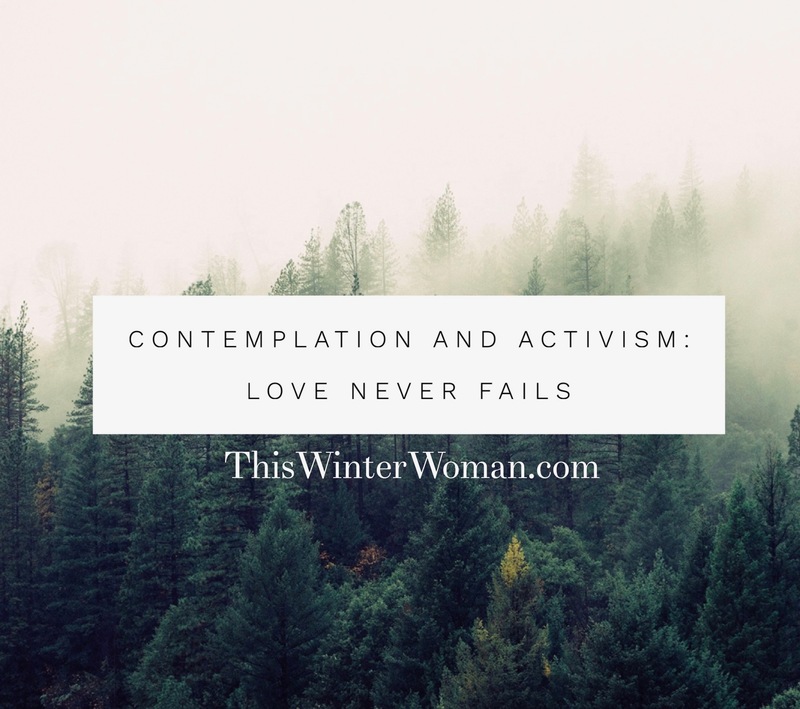 Often called “The Mother of Contemplatives”, Mary shows us how to usher the Kingdom of God into being. How to exist in our finite world while our hearts are consumed by the infinite love of the Creator. She is the human equivalent of Christ- fully human, but asked to hold the sum of eternity within her. She is Namaste and Emmanuel. She is sacred and profane. Human, but with the capacity to hold the Divine. We are created with the capacity to hold the Divine. We are called to a life of co-creation with God, the kind of creation that changes the world by ushering in redeeming love. For women (and men as well), Mary shows us how we can nurture and birth what God has placed in us. Our creation can help heal this world. What has God placed in you? What Divine plan are you being called to nurture in your own life? 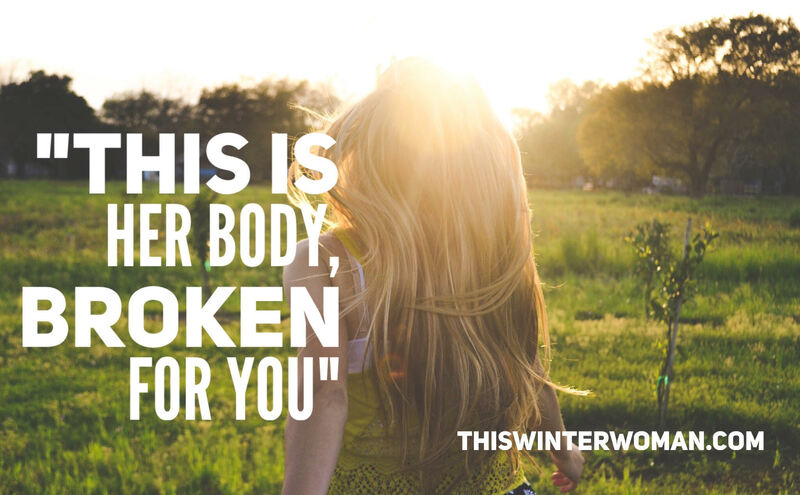 You prophetic truth will not look like anyone else’s, but we are all called to heal this broken world. 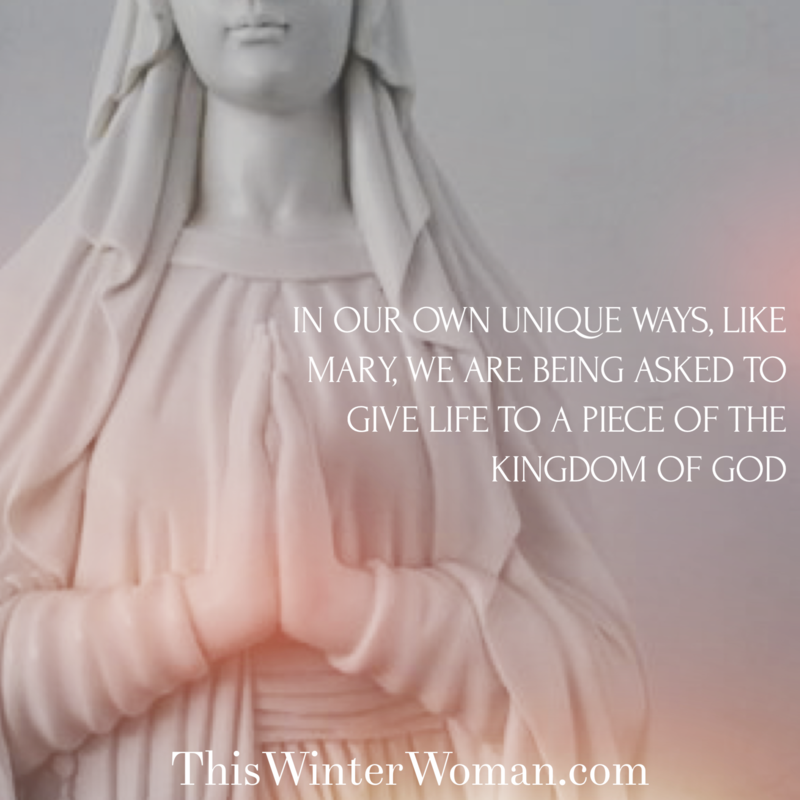 In our own unique ways, like Mary, we are being asked to give life to a piece of the Kingdom of God. Called to a destiny more momentous than any in all of Time, she did not quail, only asked a simple, ‘How can this be?’ and gravely, courteously, took to heart the angel’s reply, perceiving instantly the astounding ministry she was offered: to bear in her womb Infinite weight and lightness; to carry in hidden, finite inwardness, nine months of Eternity; to contain in slender vase of being, he sum of power –in narrow flesh, the sum of light. In most churches we hear a lot about the “patriarchs” – Abraham, Isaac, and Joseph- of the faith. 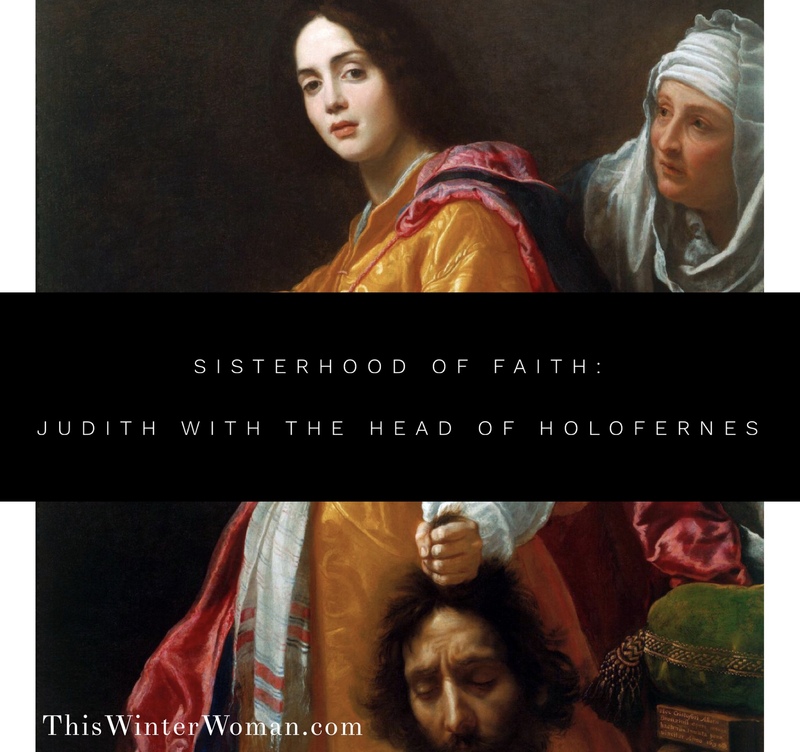 We don’t really get a chance to hear the stories of women leaders of our faith, the Matriarchs of the Jewish and Christian tradition. 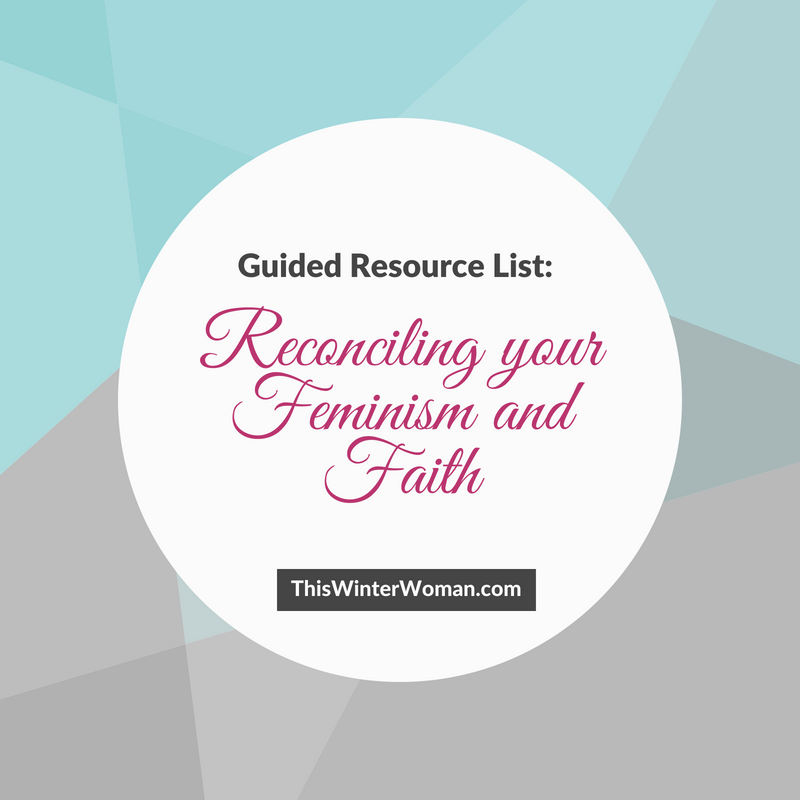 In chronicling my own struggle with faith, I’ve found it comforting to learn about the women that came before me. As I’ve mentioned before, women need to know these stories. We need to see ourselves represented in the historical and mythological accounts of our faiths. How will we ever see ourselves as rightful members of this family if we only ever hear about the male characters of our religious texts?